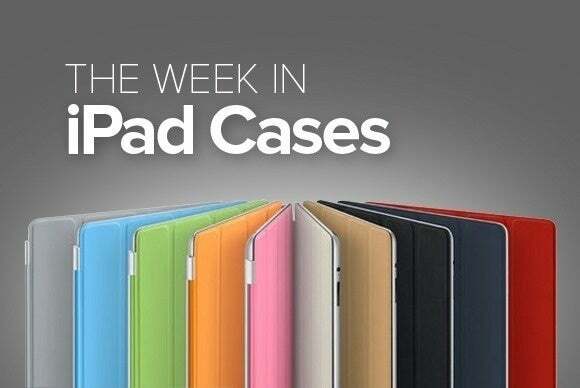 This week’s roundup of new iPad cases includes cases with extra padding from Belkin and OtterBox, keyboard cases from The Snugg and M-Edge, lovely bags and backpacks from HEX, Toffee, and Tucano, and much more. ...plus keyboard cases, standard hard shells, and more! 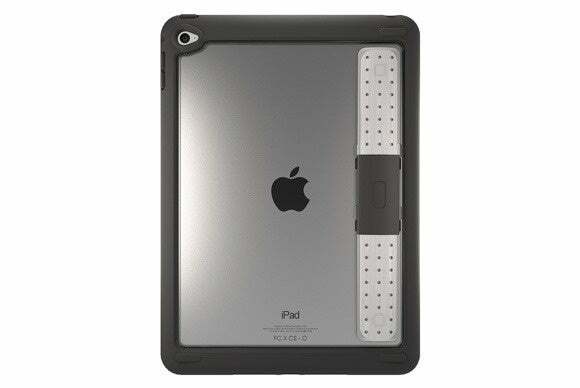 Available in blue, black, or green, the Air Protect (iPad Air; $35) sports shock-absorbent foam designed to dissipate impact from drops or falls. 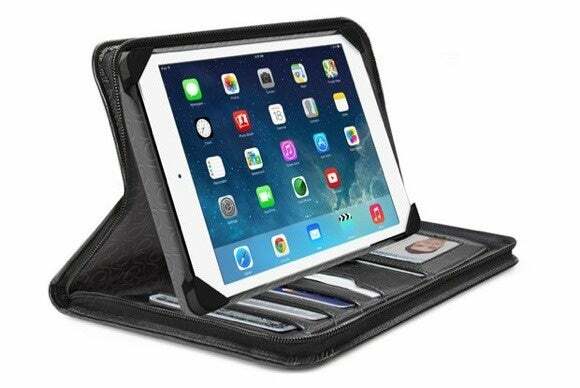 The case is easy to install around your iPad, features a raised bezel to protect the iPad’s screen when placed face-down, and enhances your iPad’s sound output by redirecting it toward the front. 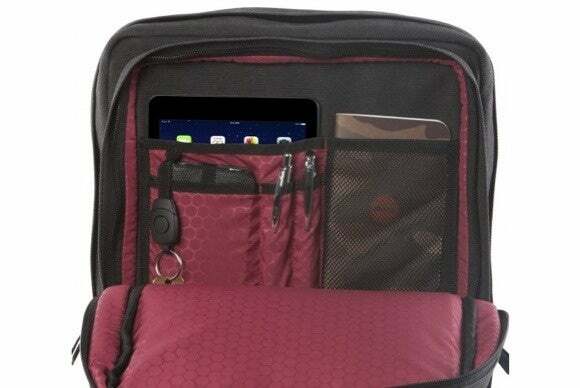 If you need something to hold all of your stuff, the Supply Sonic Backpack (all iPad models; $100) comes with a dedicated fleece-lined compartment for your MacBook, and a padded front pocket for your iPad. Made with water-resistant charcoal canvas, the backpack includes two large zippered pockets for your accessories, an interior organizer for pens and cards, and an adjustable shoulder strap. The TabMate CEO Folio (all iPad mini models; $50) holds your iPad mini and has additional room for a notebook, a pen, and other essentials. 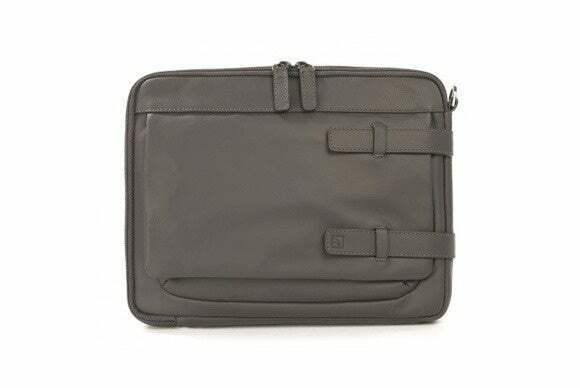 The TabMate CEO Folio includes an all-around zippered closure, comes with a number of slots and a photo ID holder inside its cover, and doubles as a stand in landscape orientation for either viewing or typing. 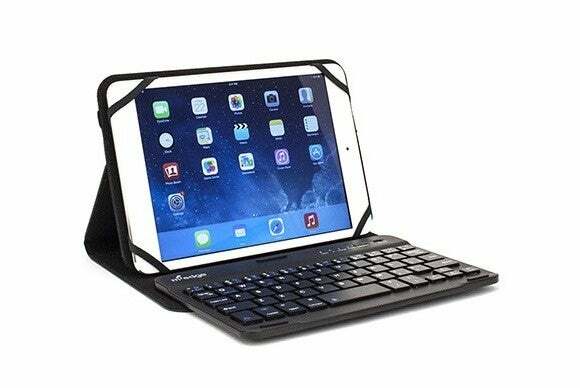 The Folio Plus Pro Keyboard (all iPad models; $40) features a silicone mount with four elastic corners that hold your iPad in place, and incorporates a handy wireless Bluetooth keyboard. 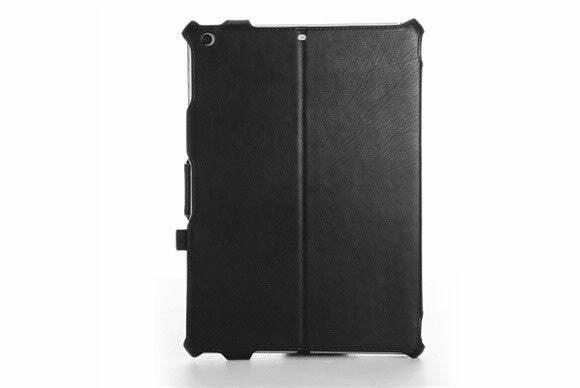 The case provides access to the iPad’s ports and buttons, includes a strap closure that holds the cover in place, and doubles as a stand to prop up your iPad in landscape orientation. The UnlimitEd (iPad Air and Air 2; $70) sports ruggedized protection that doesn’t come at the cost of slim and lightweight performance. The case features an integrated stand in landscape orientation, a built-in screen protector, and a clear back that lets your iPad’s design shine through. The Strapback (iPad Air; $22) combines a hard plastic tray with a soft microfiber interior to keep your screen clean while providing protection from bumps, scratches, and falls. The folio case includes a hand strap, doubles as a stand in landscape orientation with multiple viewing angles, and comes with precise cut-outs for the iPad’s Lightning port, buttons, and headphone jack. 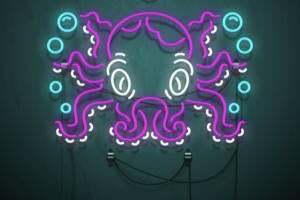 It’s available in black, white, magenta, green, navy blue, purple, red, black, sky blue, purple, yellow, or light pink. Working remotely? 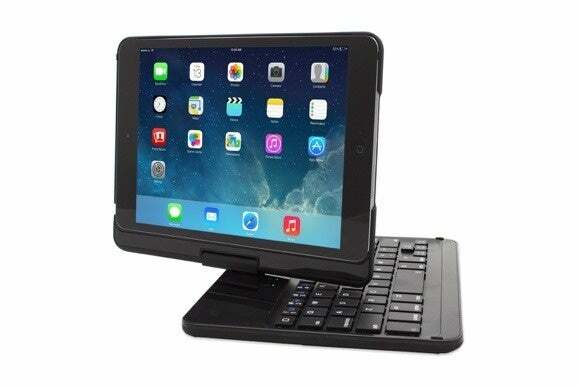 Turn your iPad in a portable workstation with the 360 Bluetooth Keyboard Case (all iPad mini and iPad Air models; $50) and its easy-to-set-up Bluetooth keyboard. 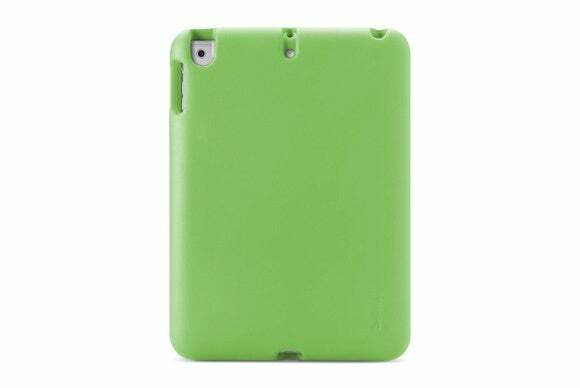 The case supports multiple typing or viewing angles in landscape orientation, has cut-outs for the iPad’s buttons, camera, and Lightning port, and comes in black, sky blue, red, green, or hot pink. The Mini Leather Bag (all iPad mini models, iPad 2, iPad Air and Air 2; $150) features a dedicated quilted compartment for your iPad Air, a front pocket for your iPad mini, and additional room for your accessories. 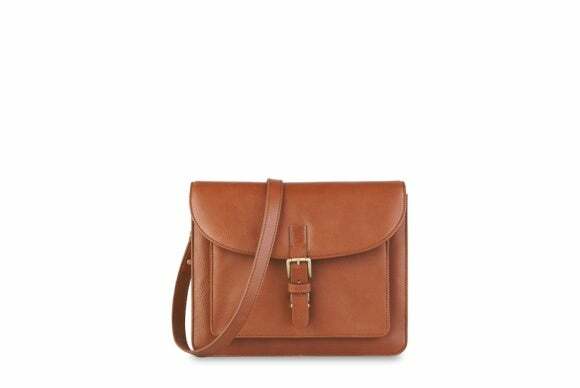 Made with naturally-milled tan leather, the bag includes a back pocket secured with a magnet for quick access, a zippered pocket inside for your keys or wallet, and a press-lock under buckle to keep the external flap firmly closed. It even comes with a detachable shoulder strap. Crafted with full grain leather, the Tema Shoulder (third- and fourth-generation iPad and iPad Air; $159) comes with plenty of room for your electronics and daily necessities. The Tema Shoulder sports a quick-access front pocket, a zippered main compartment with a fleece enclosure, and a removable shoulder strap for when you’re out and about. The bag comes in blue, gray, light brown, orange, or yellow.